Find your perfect diamond nose ring at factory-direct prices. This dazzling diamond L-Shaped nose ring is a must-have accessory that goes with everything. 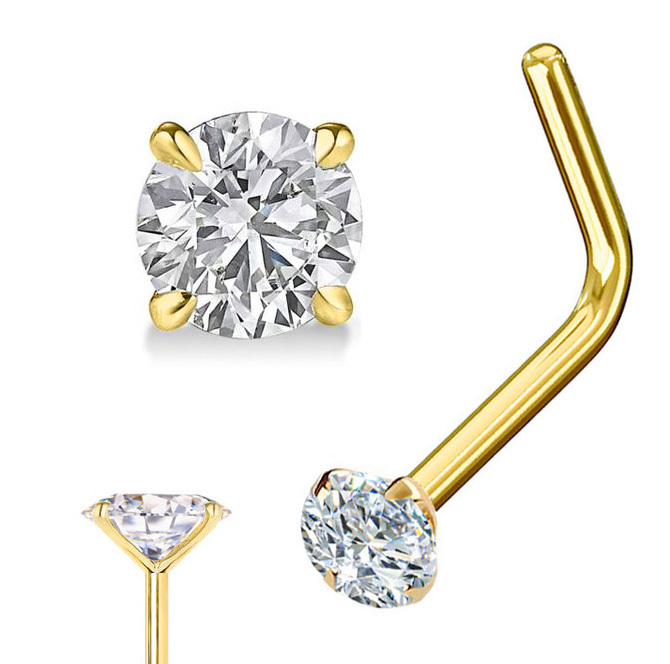 This sparkling diamond nose stud features brilliant round prong-setting genuine diamond handcrafted in L-shaped 14K solid gold. L-shaped nose rings are getting very popular recently because they are very easy to put in, lays flat on the nose, and quite secure. 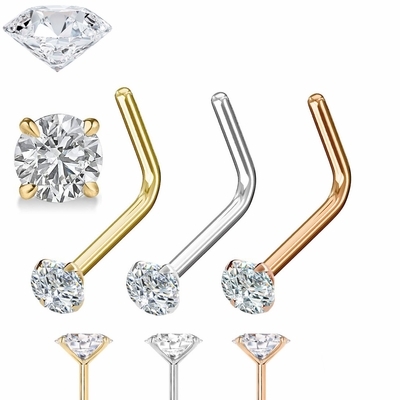 If you have trouble getting the screw-type in and like to change jewelry often, then L-shaped nose rings are the great option. My first recommendation is L-shape followed by screw type. L-shape is relatively secure and easy to put on. The most secure nose ring is screw type but it is a bit hard to put on. Q : What is the difference between this item and the easy fit listing L-shaped ring listing other than base price? How does the fit differ? They're exactly same fitting. 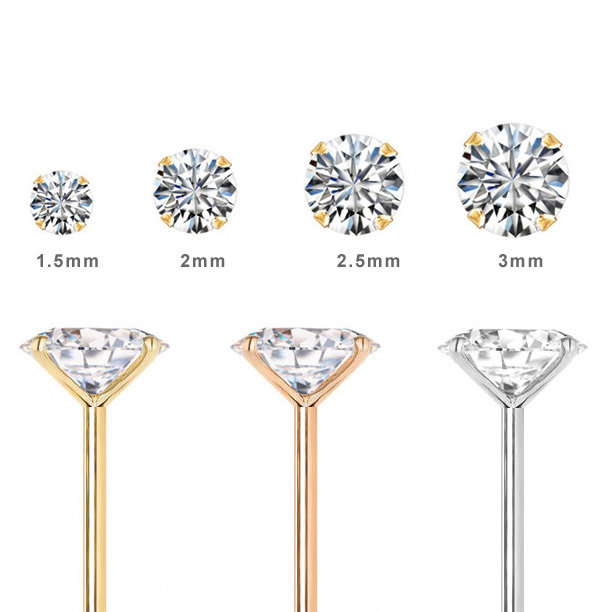 The difference is genuine diamond vs cubic zirconia. Gauge means a unit of thickness of wire (stem). 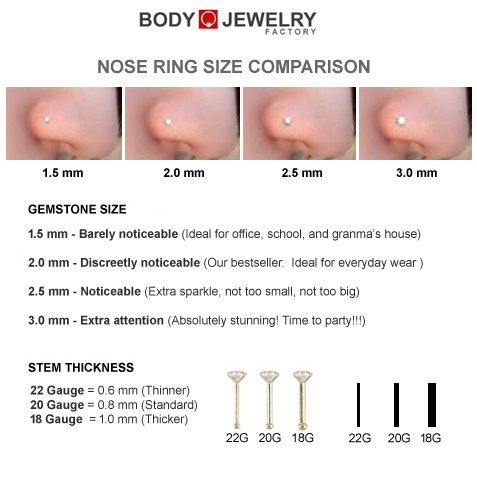 20 Gauge (0.8mm) is the standard size for typical nose rings. 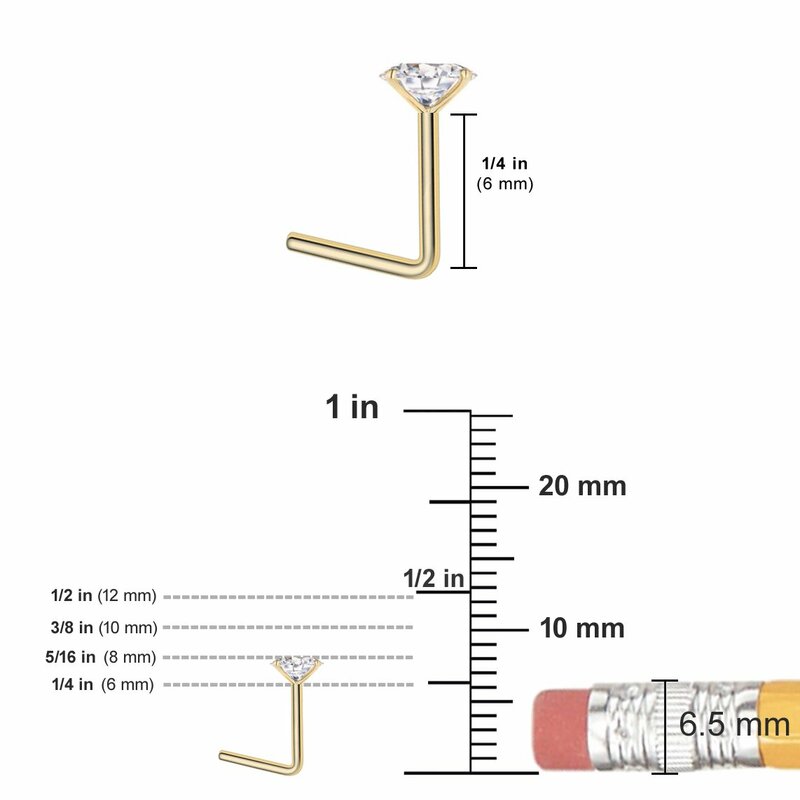 Wearable length is 6mm and a total length of L is 12mm.